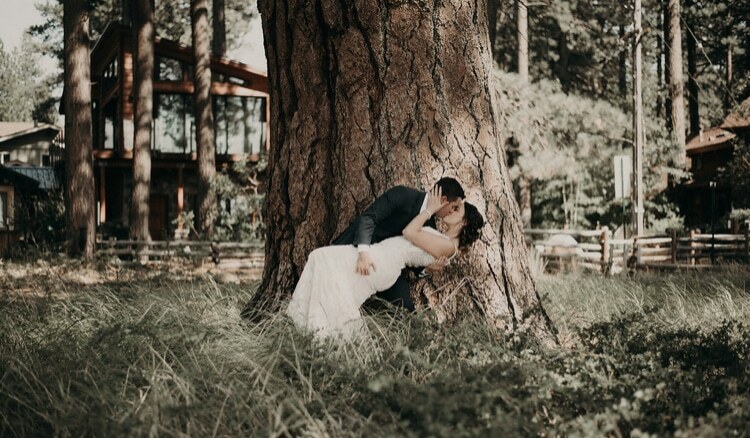 What are your predictions for 2019 wedding trends? I need your help! I'm preparing a blog post that will be published next month, which will be called: 2019 Wedding Predictions. I'd love to hear your thoughts on what those predictions and trends will be. I'll pick the 10 best predictions, and I'll feature 10 wedding businesses! If I choose your prediction, I'll be sure to mention your business name and link to your website. So, this is a great way for you to get a ton of free exposure for your business. In the discussion thread below, please share one prediction for 2019 weddings along with one beautiful photo. Share your predictions about things like color trends, fashion, decor, music, etiquette, etc. Be sure to include your business name as well as a link to your website and/or blog. wedding trend is all about creating an experience within the event. And here's a look at last year's 2018 wedding trends predictions. Thanks in advance for your help. I can't wait to see what you think will happen to weddings in the New Year! We love the new song "You Are The Reason." Artist, Calum Scott, we are rooting for you and your lyrics are so romantic. This romantic melody is one of my new front runners. The duet version with Leona Lewis has that same feel like Beyonce and Ed Sheeran, but it's something fresh, a change we were all looking for. Not a romantic, but still want other recommendations for a great wedding dance song? Our next pick is Zac Brown Band's, "Mango Tree." It's still sweet but just not quite as sappy as some of the others. This wedding song has a very clear beat and rhythm which makes it easier for students to hear and follow the correct counts. Your first dance to "Mango Tree," could be danced as a Foxtrot, Rumba, or Single Time East Coast Swing. How many dance lessons would it take to learn how to dance to these songs? That all depends on how much content you'd like in your First Dance. Taking a first time dance lesson will help determine what it would take to achieve your first dance. These are great! Thank you and keep them coming! Just as last year couples were taking more control of their ceremonies this trend will continue but in a new way. Couples are realizing that having friends officiate their wedding's has no turned out to be the best choice. They now know that this is money well spent to hire someone that's a professional with years of experience and training.They are seeking out alternative officiant's who will deeply listen to them , provide historical reference and help them design a ceremony that is unique and special. Custom made wedding Cake Toppers and Figurine from your photos! My prediction for one of the 2019 wedding trend, will be the " Candy Station", this has become a very big part of the wedding celebration, where adults and children always look forward to the treats. We have seen all type of candy stations on short and long tables, but trending for 2019, will be a different set up for these attractive stations. Many are already looking into the style where you can eliminate the tables and be more unique in design and display. Il trend del 2019 sarà ancora il mood giovane e fresco dello shabby chic, location con giardini, alberi illuminati da file di leds e tante zone relax per gli invitati. The trend of 2019 will still be the young and fresh mood of the shabby chic, location with gardens, trees illuminated by rows of LEDs with many chill out zone for guests. I predict that more couples will go for the sun, warmth, fun-filed weddings and matching colors. Wow, I'm glad I found this thread. So inspiring!